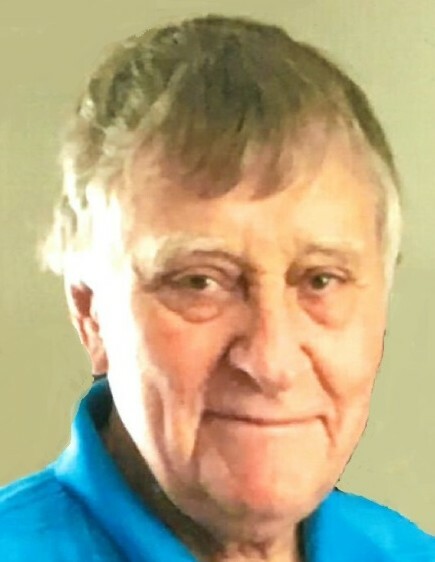 Robert George Quay, age 84, formerly of Belle Center, Ohio and most recently of West Liberty, Ohio passed away peacefully Friday evening January 11, 2019, at Green Hills Community in West Liberty. Bob was born in Bellefontaine, Ohio August 28, 1934, to the late Ralph Otto and Margaret Emlen (George) Quay. He married Janice M. Johnston June 5, 1955, in the Belle Center United Presbyterian Church. She preceded him in death March 11, 2018. Bob was also preceded in death by a daughter, Diana Brunner; a grandson, Matthew Wolf; sisters and their spouses Daisy and Ed Kindell, and Penny and Stu Adams and brothers-in-law, Bernie Sutterfield and Tom McNutt. Bob is survived by his children, Debbie (Paul) Claassen of Bellefontaine, and Doug (Julie) Quay of Rushsylvania, Ohio; a son-in-law, David Brunner of Belle Center; nine grandchildren, Sarah (Larry) Stirling, Josh (Maggie) Wolf, Natalie Claassen, Jenae (Dustin) Brewer, Alicia (Cliff) Pickering, Brian (Shannon) Quay, Devyn, Drake, and Denay Brunner; ten great-grandchildren; a brother, Paul (Clara) Quay of Belle Center; sisters. Rose Gunckel of Verona, Ohio, and Kris Sutterfield of Bellefontaine; sisters-in-law, Joan McNutt of Hilliard, Ohio and Jean (Dave) Rose of Belle Center and numerous nieces and nephews. A 1952 graduate of Belle Center High School, Bob received his Bachelor of Arts from Ohio Northern University and Master of Science degree from Wright State University. He taught middle school math and science at Indian Lake, Belle Center, and ultimately Benjamin Logan school systems. Bob and his wife Janice were integral in starting the eighth grade trips to Washington, DC. He was a member of the Belle Center Masonic Lodge and later the Bellefontaine Lodge. As a member of the Belle Center United Presbyterian Church, Bob was an Elder, Deacon, custodian, Sunday School Superintendent, and choir member. He also spent many years farming, raising cattle, chickens, pigs, and sheep. Bob enjoyed collecting Wheaties memorabilia, Tumble Ups, and banks. He loved spending time with his family and will be forever remembered as a playful grandpa. Visitation will be held at the Belle Center United Presbyterian Church in Belle Center Friday, January 18, 2019 from 3 to 7 P.M. and Saturday, January 19, 20129 from 10 to 11 A.M.
Pastor Lynn Bova will officiate the funeral service Saturday, January 19, 2019 at 11 A.M. at the church. Burial will be on a later date at the Fairview Cemetery in Belle Center.